There're two kinds of hologram hidden text or images available for hologram sticker which increase hologram sticker security capability agaist counterfeit strongly. These two kinds of hidden features are made by hologram directly, not other kind overprinting such as UV hidden text and Thermo changing hidden text . First type of hiddnen text in side hologram sticker is Laser Beam Reveal Hidden Text in Hologram (laser readable hidden text image), which also called laser beam hidden text. 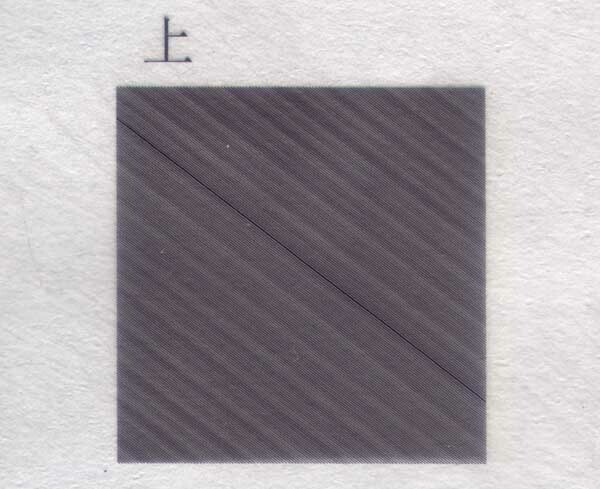 This kind of hidden text of image on hologram sticker just can be seen with help of laser pointer (laser reading pen). Another type hologram hidden text called Mole hidden text which has to see hidden text with help of Decode film. We can read simple text of image once we cover some area of sticker by this piece of Decode film. Morie hidden text Hologram( Mole hidden text ). Dot-matrix & 2D/3D master, two layers, one color in forground, one color in background, plus Dot-matrix flips.The word 'SECURITY' revealed when we put devode film onto the sticker. Laser Beam Reveal Hidden Text in hologram can be seen with laser beam. The hidden letter is 'JIH'. When using laser hidden text reader to point to the sticker, you'll see the big letter 'JIH' reflected onto white paper very clearly. Hidden text or image feature hologram is invisible to naked eyes in sunshine or normal lighting conditions. Hidden text or image just can be seen with sepecial laser pointer (or called laser reader). There're more kinds of hologram hidden text or images available for holographic stickers. These kinds of hidden features combination can improve the hologram stickers security feature greatly agaist counterfeit.  Following is our hidden text & image technology available. High Security Hologram Technology. 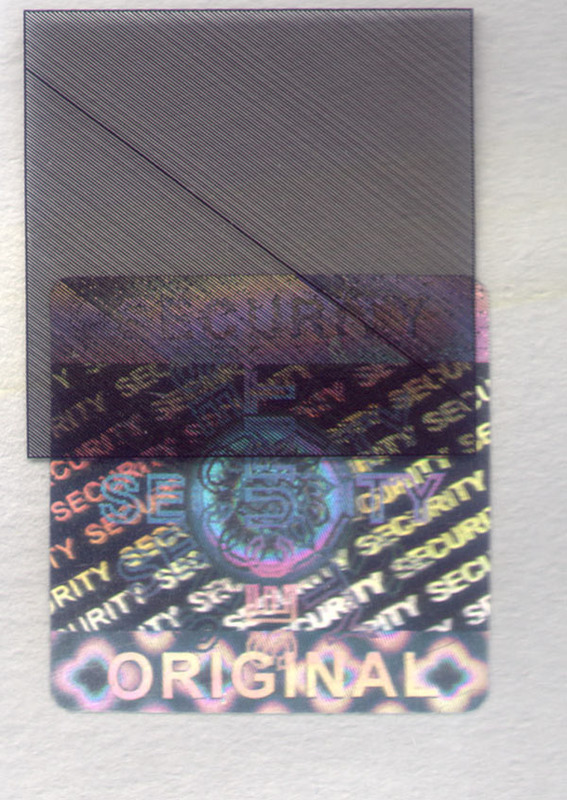 Hologram Security Sticker With Hidden Text & Image Technology. Red star marks security level. The more star hologram marked, the higher security level the hologram has. Hologram Sticker © 2000-2006. All rights reserved.